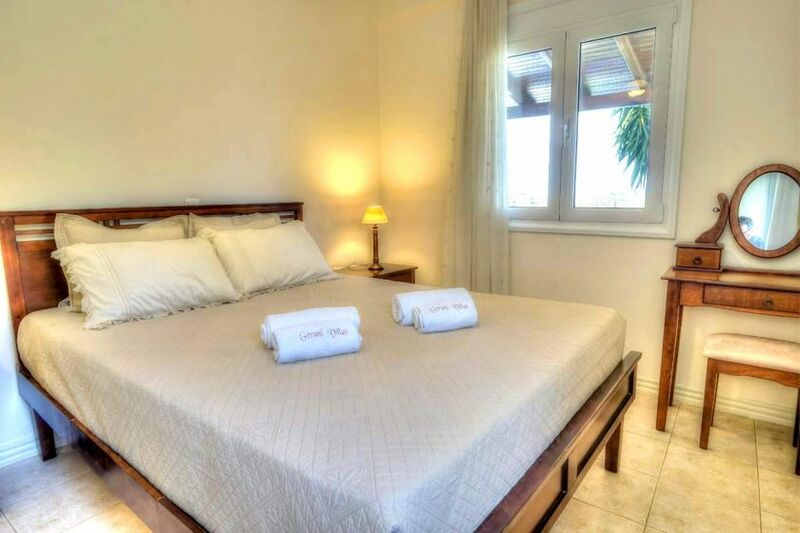 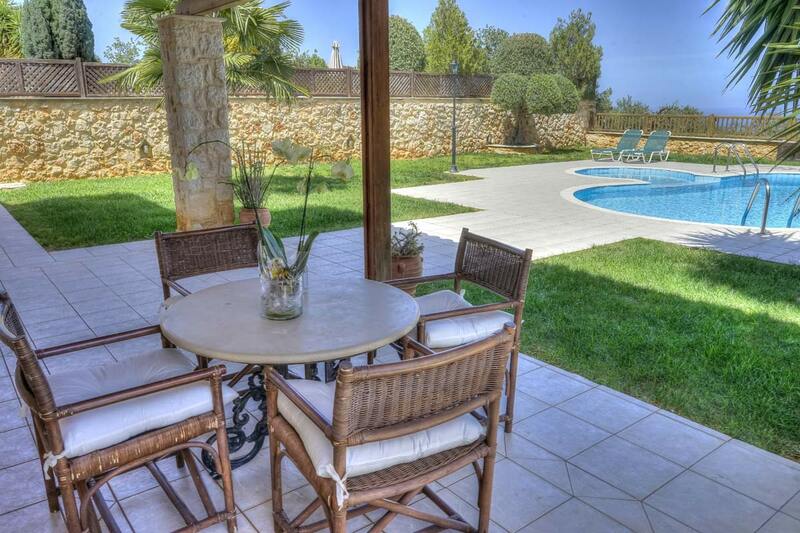 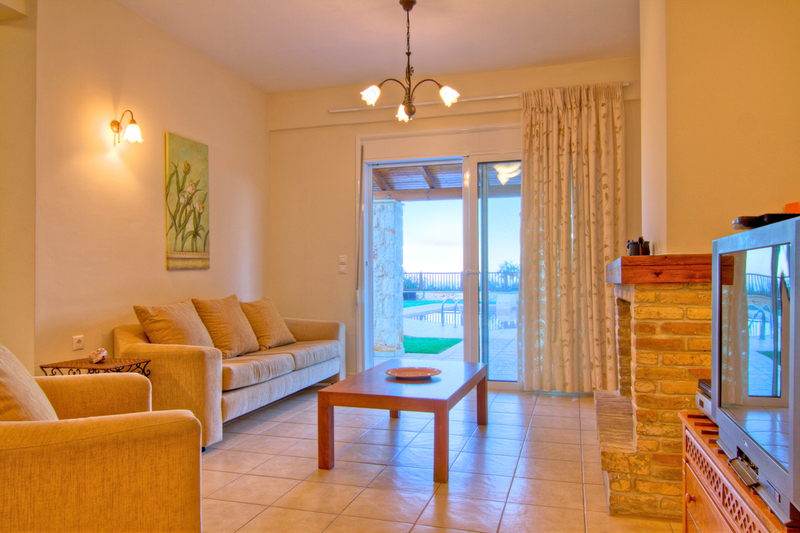 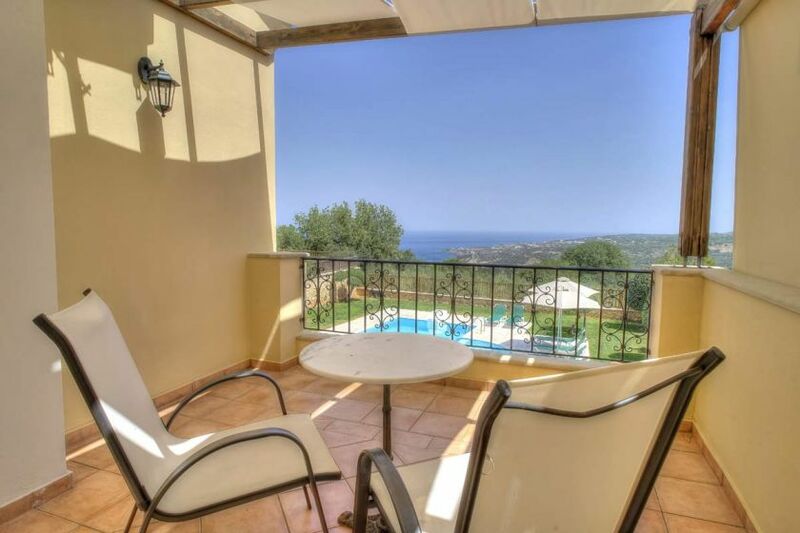 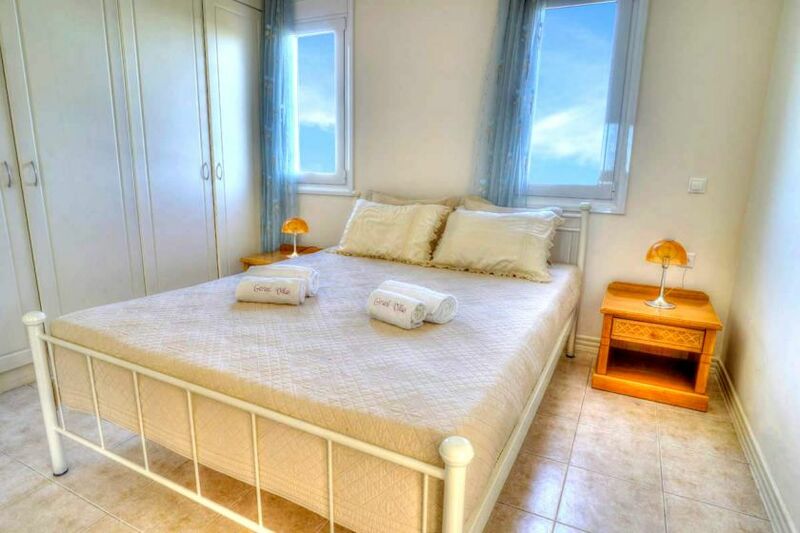 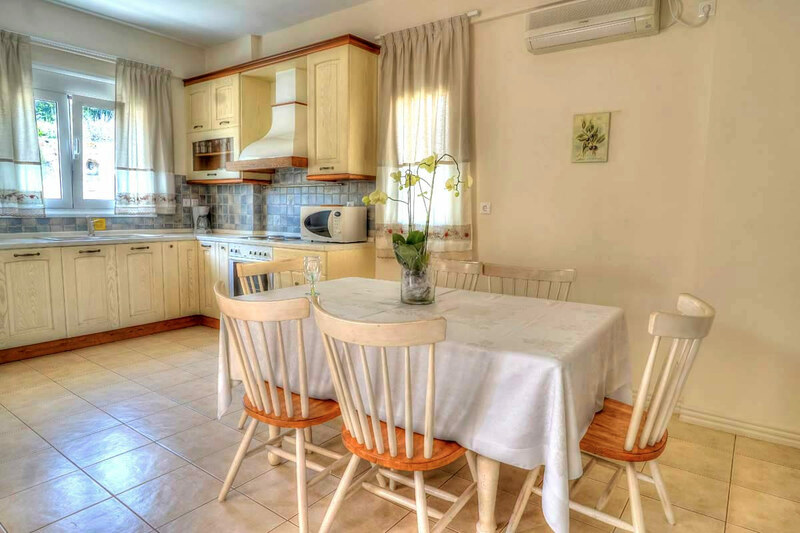 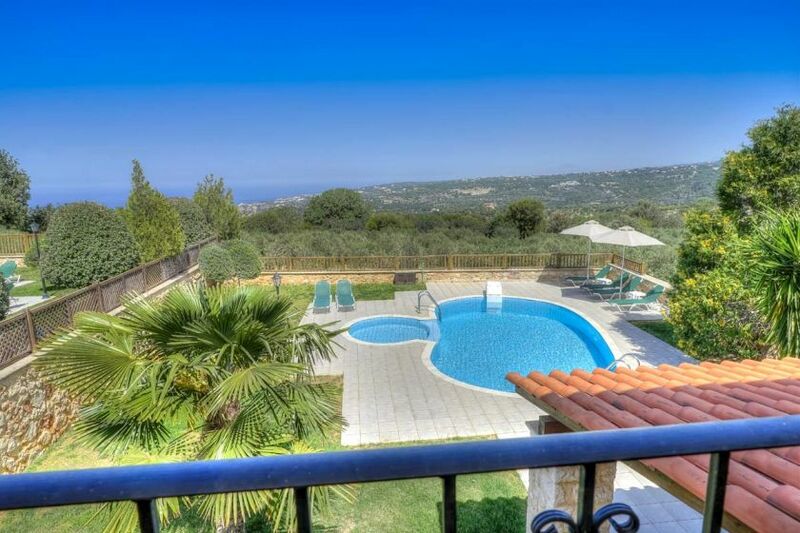 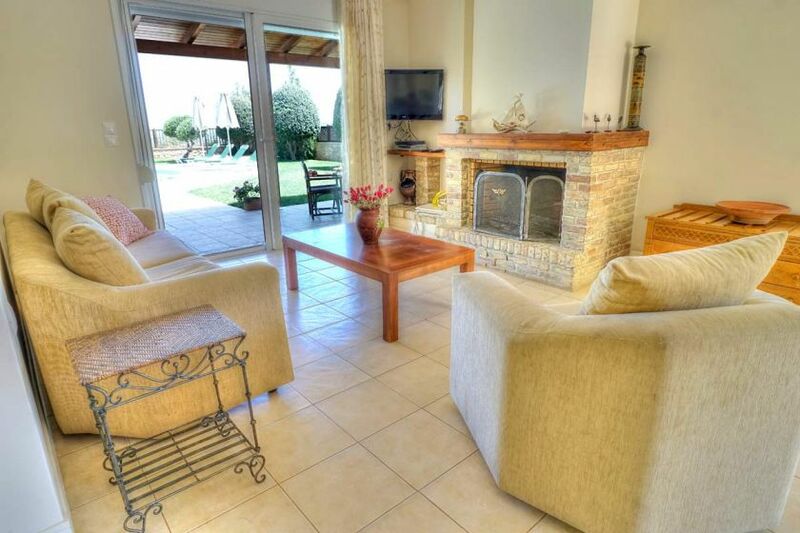 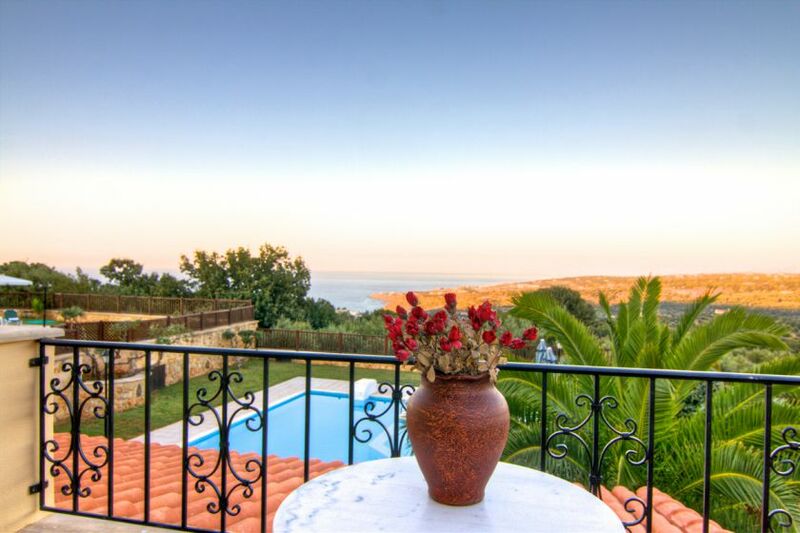 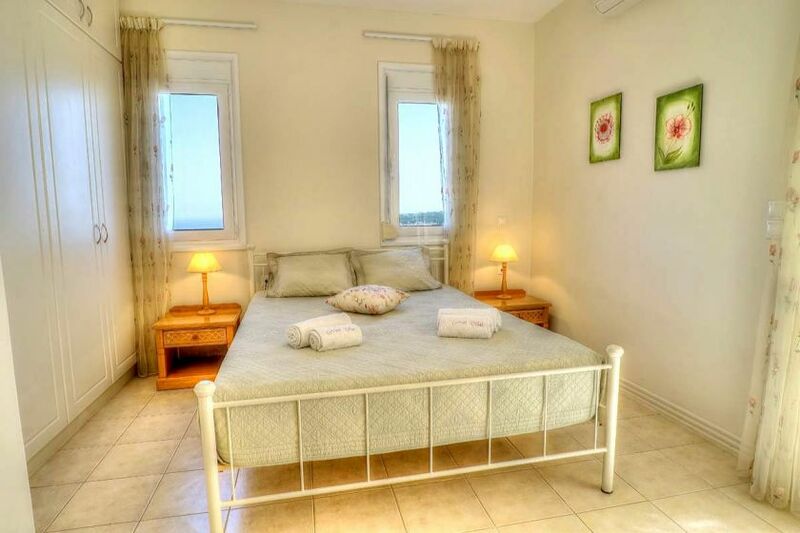 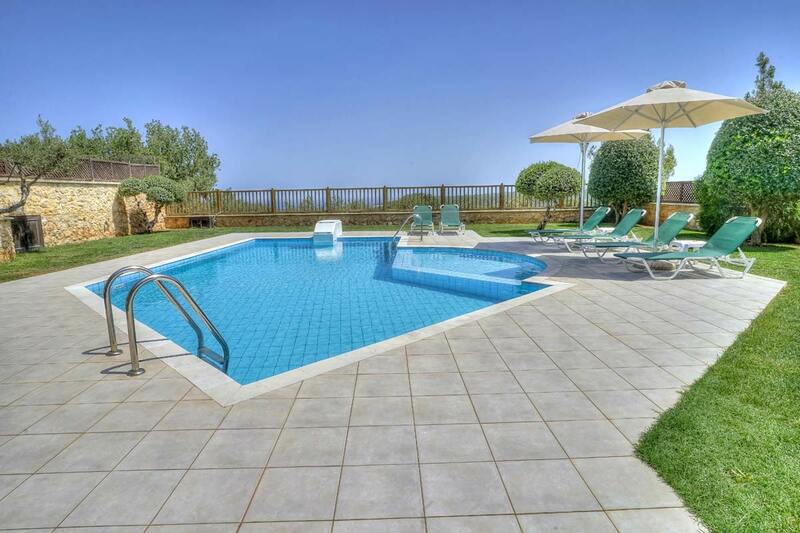 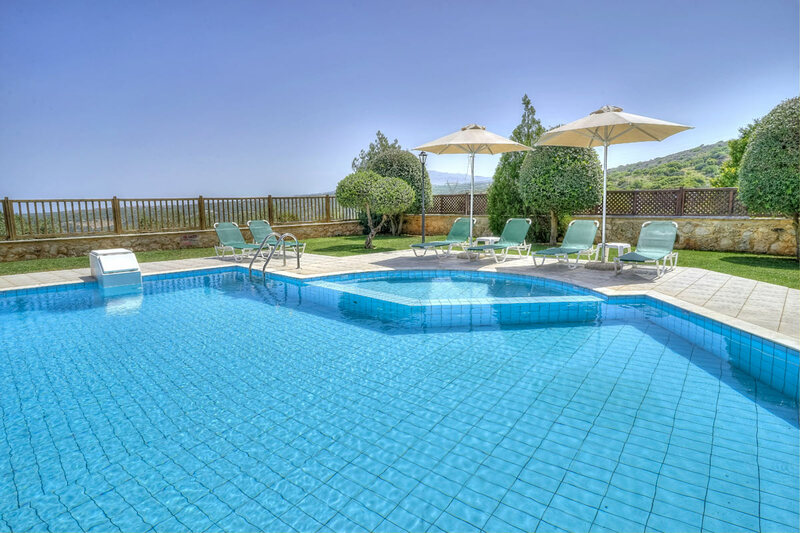 Flower Villas are two lovely 3-bedroom villas with a private pool each, located in a peaceful area on the slope of the traditional village of Gerani, about 7 km west of the picturesque town of Rethymno. 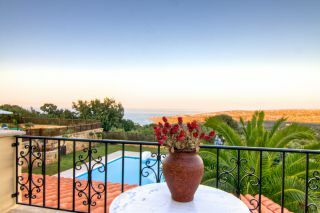 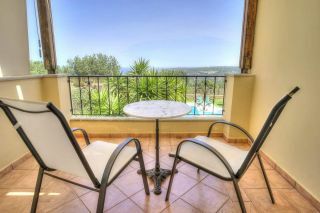 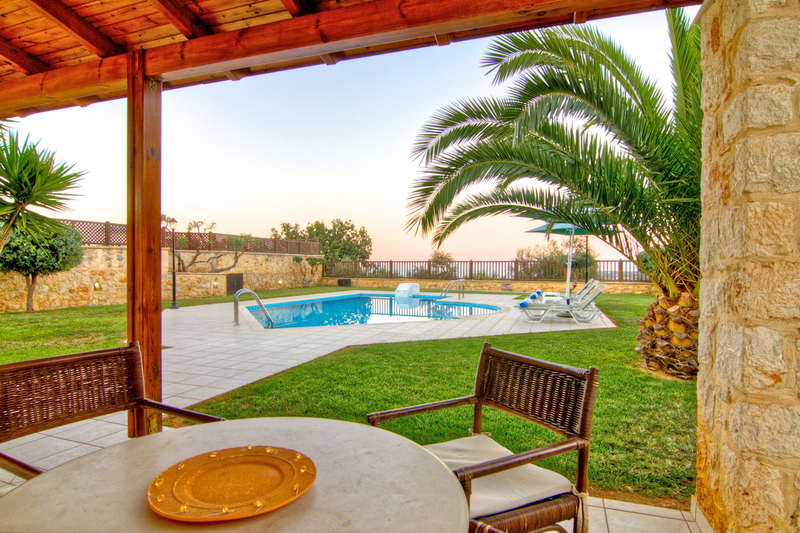 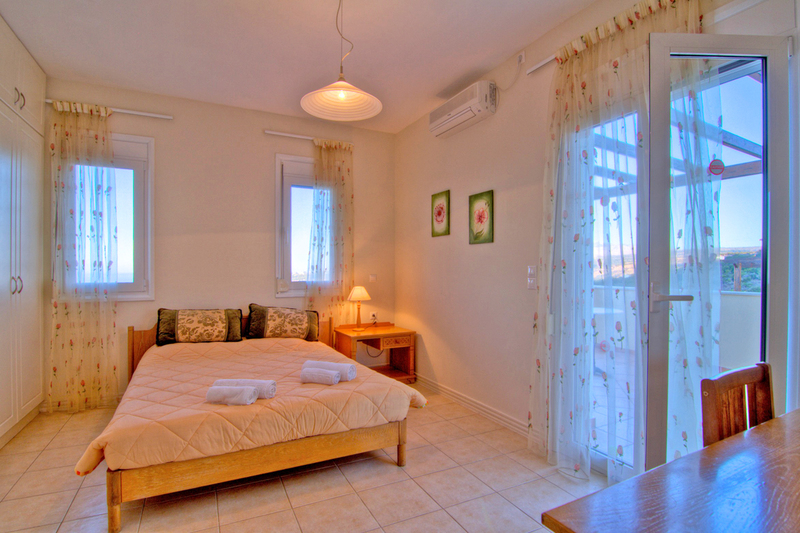 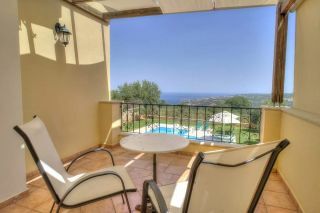 The two lovely villas are built in maisonette style, offering amazing views of the tranquil landscape and the Aegean sea. 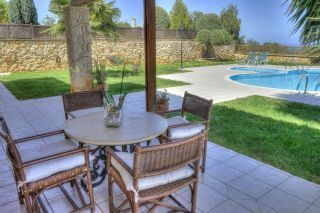 A private grassy garden with an outdoor swimming pool and big furnished balconies are provided in each villa. 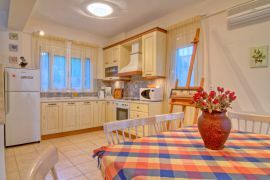 An open plan living room with a fireplace, a dining area and a fully-equipped kitchen are provided on the ground floor. 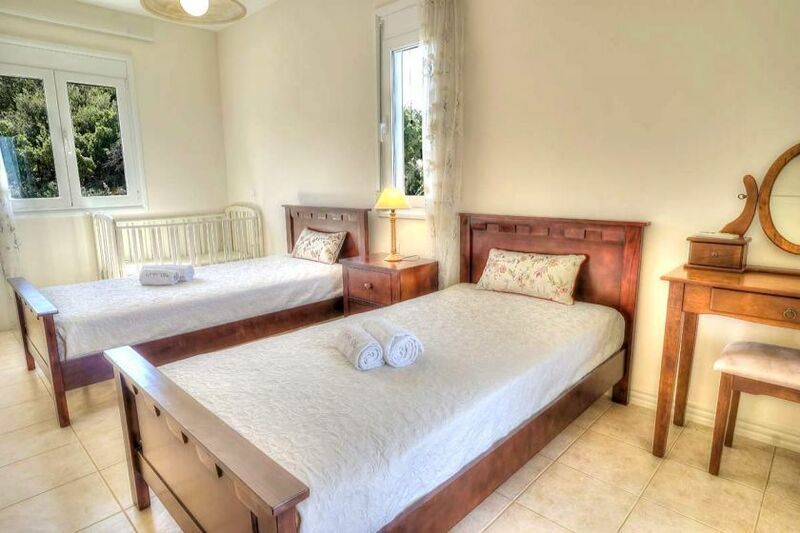 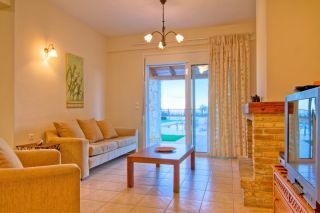 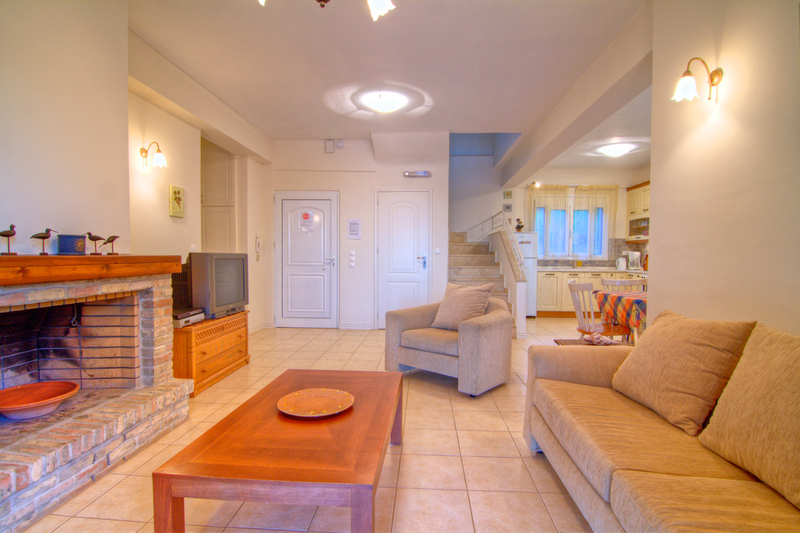 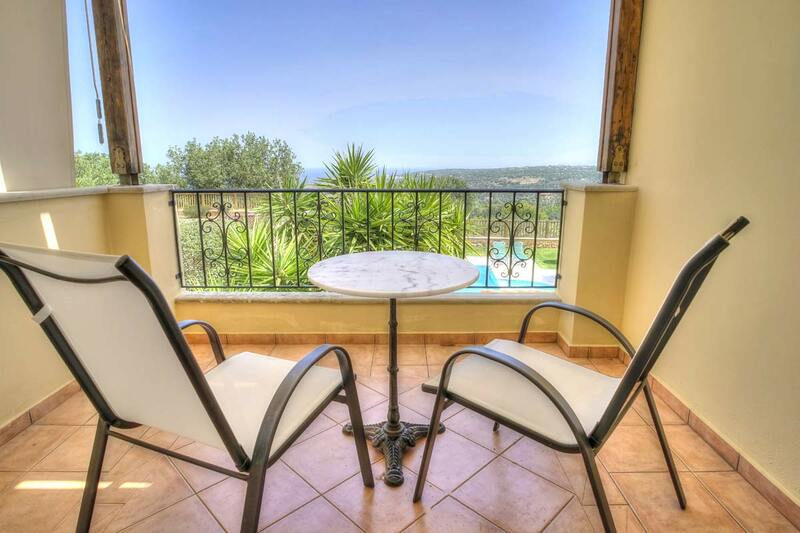 Two bedrooms with a double bed and one bedroom with two twin beds are provided on the upper floor. 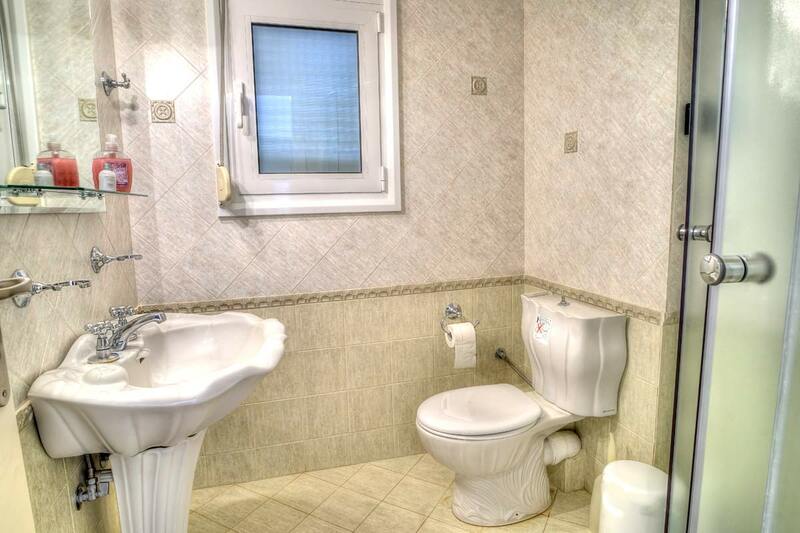 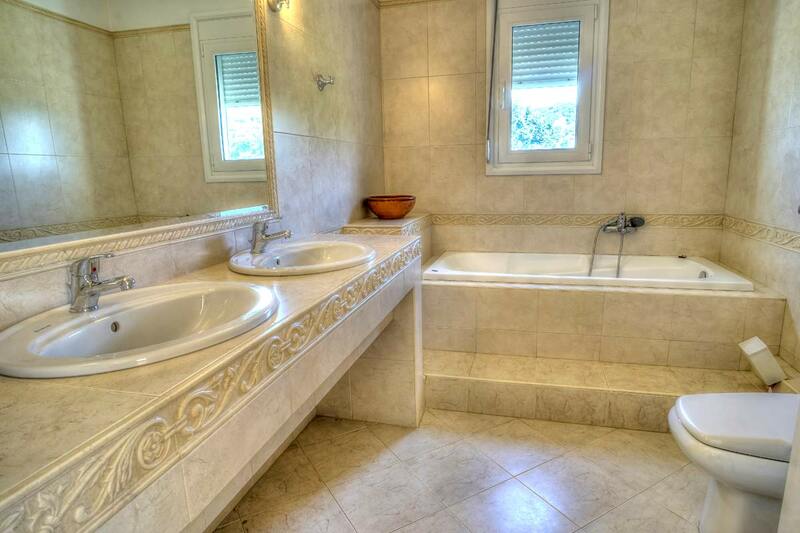 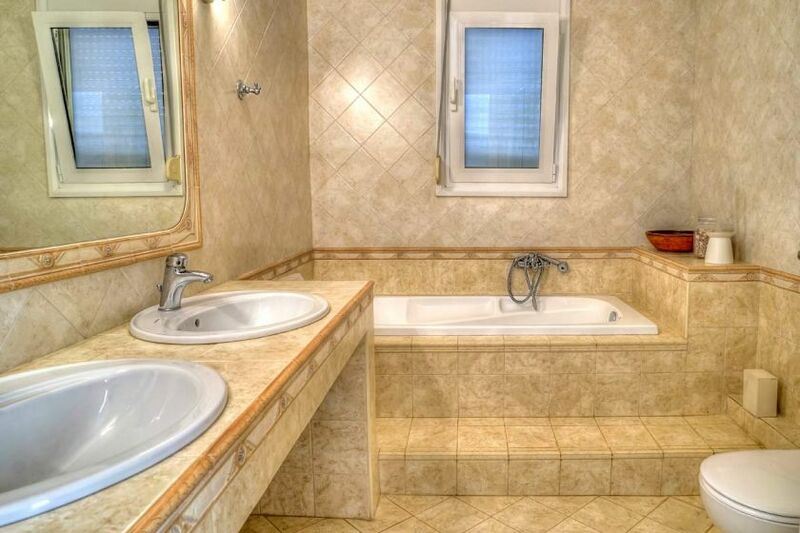 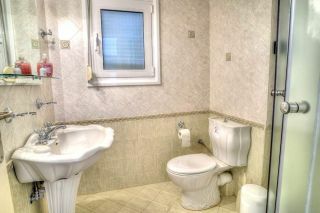 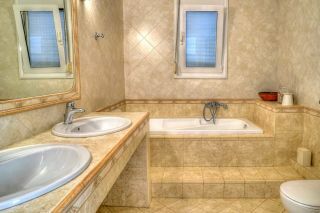 Two bathrooms, one with bathtub and one with shower are provided in each villa. 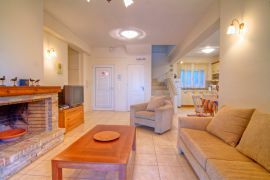 At the center of Gerani (about 1 km away) two taverns, two mini markets, a supermarket, a bakery, a butcher, a pastry shop, hairdresser, and a grocery are available. At the distance of 4 km you can enjoy the long sandy beach of Episkopi with a few seaside taverns as well. 3 times cleaning during 2 week stay. 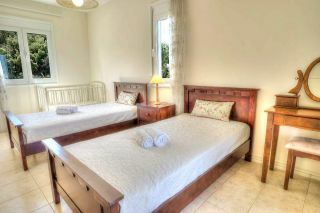 Excellent professional organisation from theHotel.gr, good communication before arrival as well as when in Crete.